Wonder how to make homemade doughnuts? This is a free printable eguide filled with homemade doughnut recipes (cake, fried, and filled), photos, and tips. So… Y’all know I have a sweet tooth, right? This one isn’t a class, though. 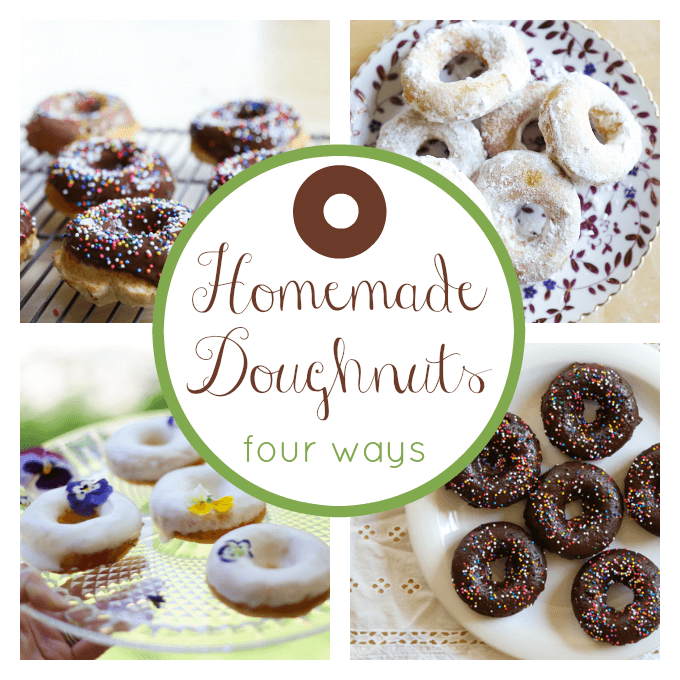 It’s a printable e-guide on how to make homemade doughnuts and contains recipes for several doughnuts as well as tips and tricks for making them. Of course we had to try every recipe. *The buttermilk doughnut recipe is gluten-free but we made ours with wheat flour. Not that we have anything against gluten free, we just didn’t have the special flours on hand. The recipe still worked great! And some of the various glaze recipes. We haven’t made the homemade sprinkles yet, but don’t worry. We will. It’s been one big doughnut fest around here! The kids vote for the double chocolate baked doughnuts. But I like the buttermilk doughnuts with vanilla glaze the best. If your family likes doughnuts and likes to bake, then by all means print out a copy of this guide to making doughnuts. It’s free! Did I say it’s free? If you’re an existing Craftsy member, you’ll just log in to get it. If not, you’ll be asked for an email address and password and then you are this close to having delicious homemade doughnuts in your home, too! P.S. If you don’t have one of those little doughnut baking pans, you might want to buy one for the baked doughnut recipes. So worth it. It makes cake doughnuts as easy as making muffins. You can get one online (Craftsy sells them at a great price) or a place like AC Moore or Michaels. I sure wish I found these creative ideas a few years back. I think older people would enjoy doing some of your creative ideas also.